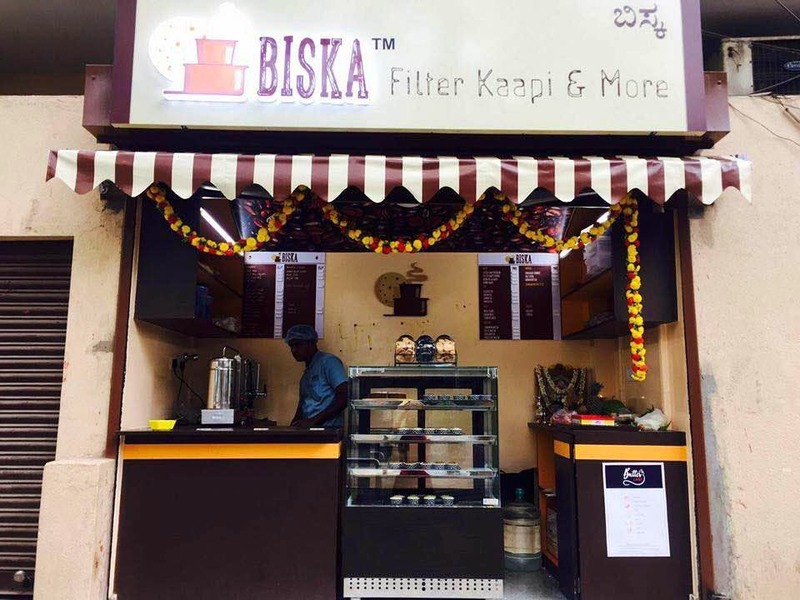 A hole in the wall joint in Malleswaram, Biska is the perfect pit stop to refuel with some hot chai or filter coffee. Offering quite the selection, choose from the classic Filter Kaapi To Benne Kaapi, when it comes to coffees and if you’re more of a tea person, down a hot cuppa or opt for their lemon, ginger or green tea varieties. Pair it with a light snack and load up on the muffins and cookies that are up for grabs here too. All homemade, choose from their Cinnamon, Choco Chip or Coffee Muffins to bite into. Or opt for their Chocolate Crinkle, Salt Jeera or Danish Butter Cookies to dunk into your glass. There’s no seating available at the place, so you’ll have to stand through your coffee break. Don’t forget to try their Banana Walnut cake which is delicious and only costs INR 35. The prices here are beyond reasonable and start at an easy INR 10 for the teas and coffees. The homemade eats start at about INR 15, so feel free to gorge on as much as you like without worrying about your wallet. If you’re not a tea or coffee person, they also serve milk here. Whether it’s plain milk, badam milk or turmeric milk you want, they’ve got you sorted for just INR 15.